IT has moved from a single, often experimental business function to a capability that is central and core to the business in almost every organisation and in every imaginable way. Added to this, IT has become a massively complex, large, and expensive operation for most organisations. In many cases, firms have decided that managing their IT is not their business and that they’d be better off hiring another firm to manage this area. This way firms can concentrate on their core business rather than being in the business of managing IT organisations, and instead only deal with IT in terms of contract and service management. The outsourcing business has therefore become a growing specialist sector which accounts for a significant part of the revenue of major technology houses such as IBM, Atos, CSC and Fujitsu. Implementing outsourcing arrangements is a complex business that does not seem to be commonly understood. The initial activity consists of defining the scope of activity required from the outsourcer including the technology requirements, requirements for network operation centres (NOC), service desks and processes, and additionally non-functional requirements such as service levels, activity volumes, locations, and languages. Once the scope has been crystallised the host will go out to tender to invite bids from outsourcing firms and perform the required due diligence on them. Then, once a provider has been selected, the new organisational structure needs to be defined, and this often means moving the operational layers to the outsourcer and retaining the management layers. The management structure for each provider involved in terms of commercial management, service management, and supervision of each element of the service, will need to be determined, along with the operational definition in terms of where each provider is delivering into. The host will form a combined organisation with the outsourcing supplier and a common operating framework needs to be established for this to work, and this includes defining the methods of working, collaboration, shared tools, and computing environments. An understanding of the supplier type is the starting point for defining the split of activities between host and supplier. This split is often somewhat aligned to the open systems interconnection (OSI) model which creates a “layer cake” of activities. For example, a colocation provider will only deal with datacentre space, power, cooling, and perhaps a basic hands and eyes service, and therefore the remainder of service elements that sit above this will be for the host to manage. A platform managed service provider may provide all of the infrastructure, IT service management (ITSM) toolset and global processes, and therefore the host’s responsibility may be to manage their own applications, services, and business processes. The detail of the process activity needs to be defined, and this involves determining the process steps, who carried out each step, how it’s carried out, and where the join is between host and provider. The processes will contain integration points such as service desks and portals, and management and control systems such as access recertification in an identity and access management (IAM) process. A capability mapping exercise is required in order to determine that all of the capabilities from the existing organisation will be carried out in the target organisation, either in the host’s space or supplier space. The combined set of definitions of process steps across all processes and parties, and the capability mapping then define the operating model. Usually the existing arrangements and structures will be built upon and modified to form the target state organisation. The implementation of outsourcing arrangements involves building the technology stack, implementing the ITSM tooling, as well as technology operations processes and service processes. At this stage, there may be elements to be migrated into the provider’s space such as hardware and applications. Knowledge transfer activities must also be carried out in order to ensure that the provider has specific local knowledge required to support the environment. Finally, the management activities must be put in place, and management of outsourcing arrangements is usually predicated on supplier reporting and governance meetings to review and discuss supplier performance. Managed services outsourcing has a large number of benefits that it can bring to an organisation including simplification, efficiency gains, and allowing the organisation to concentrate on its core activities; however, an outsourcing arrangement is only as good as its implementation. A robust implementation requires the addressing of the correct perspectives, the supplier integration perspective, the capabilities, the processes, and the tooling to be addressed in a systematic and complete way. For further details, please refer to this white paper on implementing managed service outsourcing. 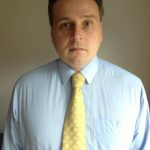 Nicholas is a freelance Service Management Consultant specialising in delivering outsourcing and service transformation. He has had assignments in a number of sectors including financial services, pharmaceutical and legal. Being a multi-disciplined all-rounder, he brings value by joining together a number of disciplines, that often otherwise would remain isolated; technology, processes, support capabilities, governance mechanisms and business interfaces. He lives in Richmond, Surrey with his Swedish partner, Frida and two children; and when he is not working he is most likely working on various personal projects including further qualifications, researching various topics, trading with algorithms or debating a number of subjects like psychology, politics, and philosophy.